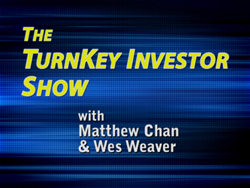 Since the Tech Stocks Crash of 2000, trillions of dollars of investor wealth disappeared from existence. Investors throughout the world saw their investment portfolios and retirement accounts crushed by their holdings of stocks and mutual funds. Simultaneously, investors of residential property continued to see their real estate portfolio appreciate and generate steady returns. Because of the financial devastation, investors have changed their investment priorities. Speculation and Volatility are Out. Safe and Steady Returns are In. 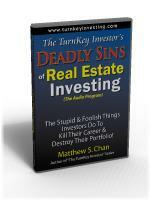 If you watched your stock portfolio get crushed and want to invest differently, this book will show you ANOTHER WAY! 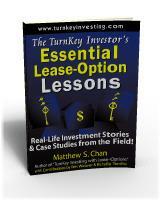 Through the simple acquisition of small houses, safe and steady returns can be generated with the Lease-Options strategy. What “real” investment properties look like and what the financial numbers are! 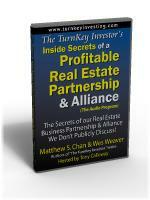 What really happens “behind the scenes” with real-life Lease-Option tenants and properties! 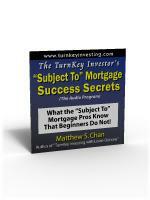 Unique strategies for marketing and managing Lease-Option properties! 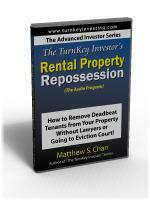 How to take a creative approach to solving tenant and property challenges! How occasional setbacks benefit you and make you into a seasoned investor! 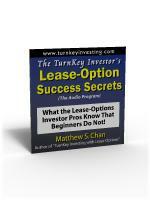 The hidden benefits and challenges of Lease-Options most people never discuss! 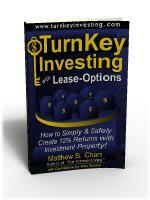 TurnKey Investing with Lease-Options is an investment book like no other. It goes against what the traditional financial community sells and sure to upset the establishment. This book is only for independent-minded investors who want to take control of their investments … not for the conventional “follow the herd” speculators of Wall Street.